When I first saw Shoukei Matsumoto’s book, A Monk’s Guide to a Clean House and Mind, I was immediately intrigued as I’m keenly interested in the link between our sense of self, wellbeing, and the home. As detailed in my previous post, I embarked with vim and vigour upon a week of Monkish cleaning with varied degrees of success and suffering. Now, a fortnight on, I feel compelled to add this addendum. This is the bedhead in the guest bedroom in the MOhome. ‘Prismatics’ ceramic tiles by Johnsons. Stone by Salvatori marble. Picture via NewBloodArt. The thing is, I liken cleaning my home to the ritual of applying body moisturiser after a bath: it’s an opportunity to check everything over, detect any errant lumps or bumps and generally make sure all is as it should be. As such, as previously confessed, I actually like doing housework! Yep, it’s true. 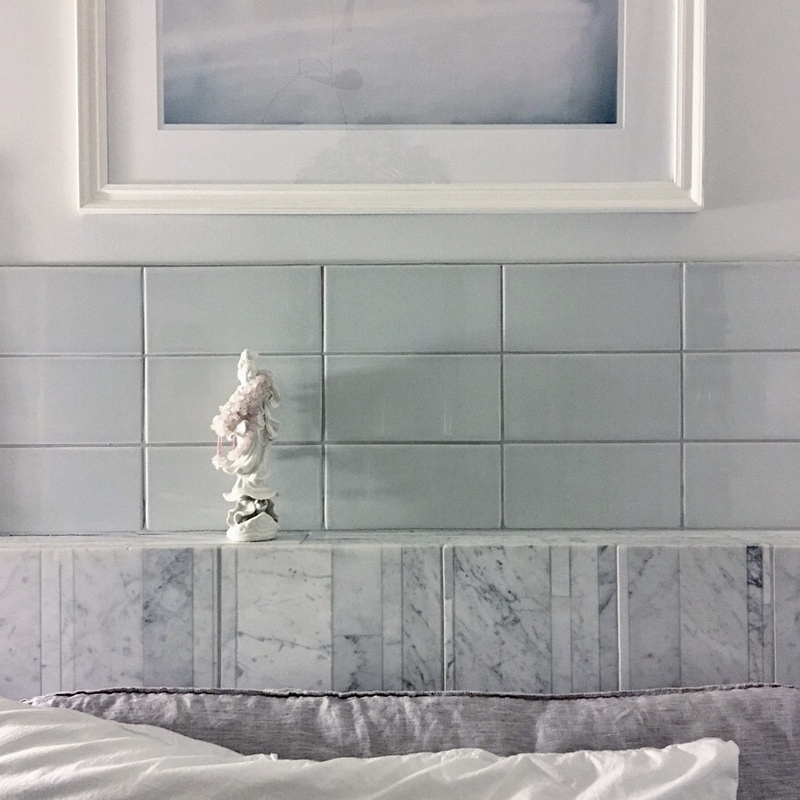 I’m no domestic goddess though, it’s simply that I put a lot of effort into getting the layout, fittings and finishing of my home just-so, and I’d like to keep it that way, as far as is humanely possible. (Caveat: my home is not huge; it’s been renovated to my precise instructions to maximise efficient living; I work from home, and it’s only me and my small son who live there. Oh, and two large Basset Hounds. But the less said about them the better; deliciously doe-eyed yet hair-shedding horrors that they be.) However, my house is also old, built in 1821 to be precise, and as such it has required pretty constant care and attention since I bought it some eight years ago. Thus little and often is a mantra I apply to pretty much everything, from home maintenance, exercise, decorating and snacking, to writing and cleaning (note prep to make it through the winter is a must, see my check list below). What became clear then, a couple of weeks after reading Matsumoto’s pocket Penguin, is that like any newly adopted ritual or exercise routine it takes time to get past the pain/boredom threshold to the place where it becomes second nature/enjoyable, and more importantly, to the point at which you start to see, and feel, the benefits. To draw an analogy, if like me you use a food delivery service for your weekly shop, then you’ll recall what an absolute mare all of them usually are to set up at the beginning, the need to laboriously scroll through reams of product to find your favourites, but then, how much easier it gets with each subsequent visit, until you can at last hit the ‘repeat last order’ button, add a few items, and be done with it in under 5 mins. Well, the cleaning was like that too. One week of toil and intense tribulation in which I ‘broke-the-back’ of it, so to speak, and then each following week it’s become easier and more fulfilling. Primarily because many of the tedious jobs I’d been putting off, are now done, but also because I’ve now found my own rhythm and preferred cleaning implements. And it pleases me! Plus my weekly household to-do lists are, inch by inch, getting shorter, and I can finally imagine a moment of quiet ‘being‘ in my home, as opposed to busy ‘always doing’. Added bonus? According to the ‘steps’ counter on my Apple Watch, cleaning counts as aerobic exercise. Win double win! 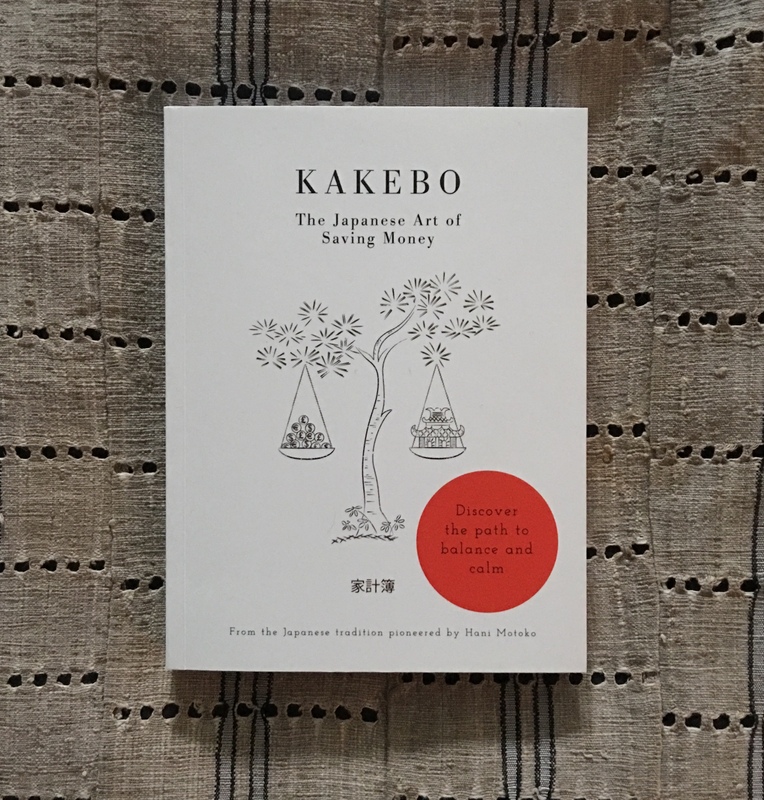 ‘Kakebo: The Japanese Art of Saving Money‘, from the Japanese tradition pioneered by Hani Motoko.